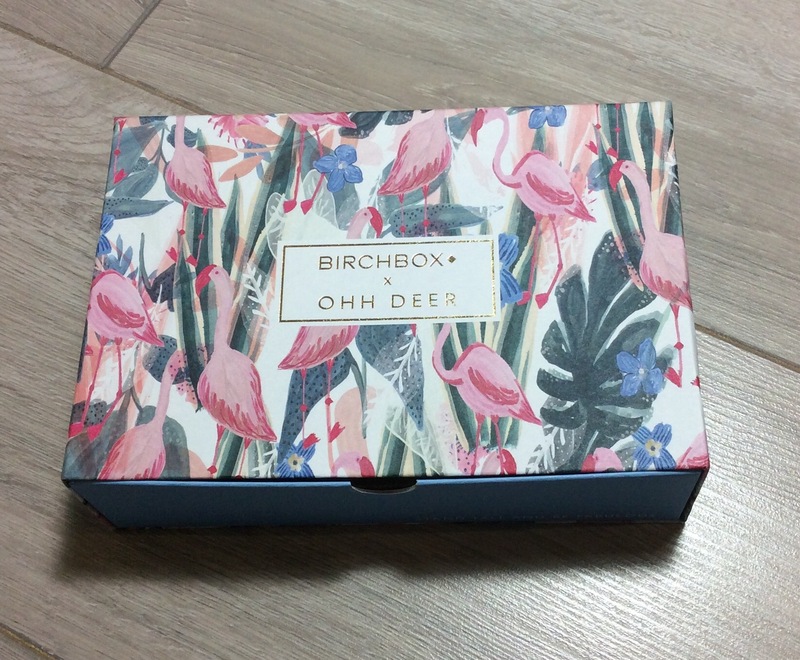 My review on my January birch box is later this month as my first box arrived damaged and although Birchbox v kindly arranged a replacement promptly it took a little while to arrive due to weather conditions etc. 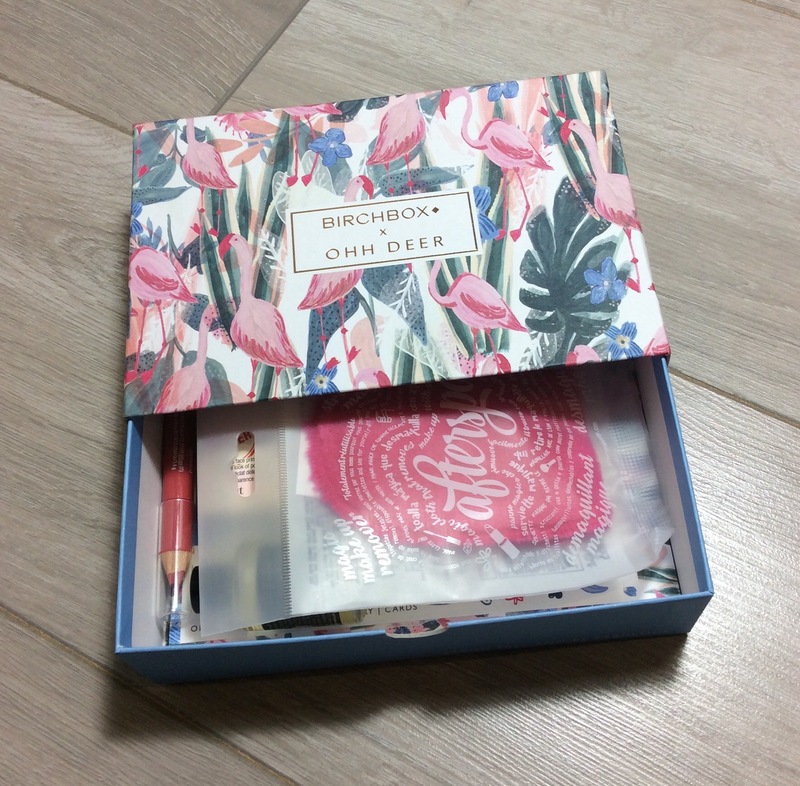 However although late I decided to go ahead and post short review as currently Birchbox has a great offer on, until 31st January 2018 or while stocks last (more about that at end of this post). 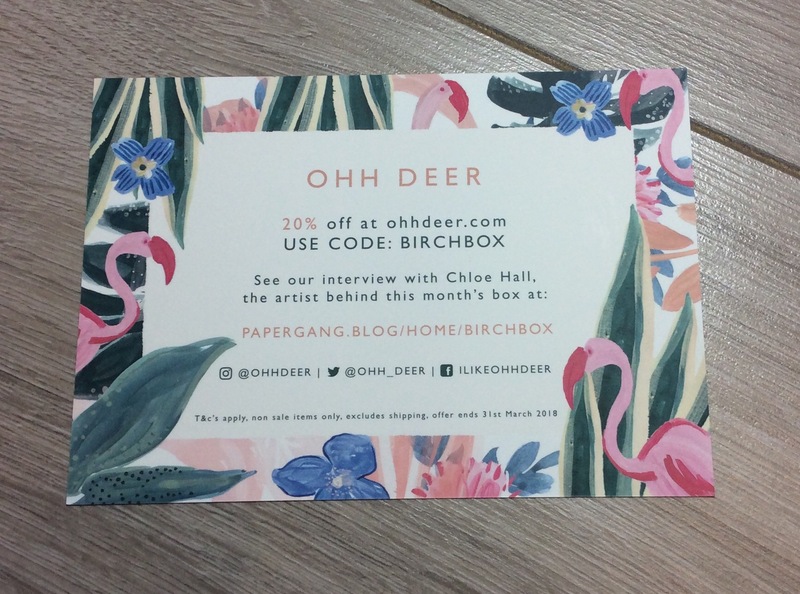 Theme of this month’s box is ‘OHH DEER’ – this month Birchbox have teamed up with Ohh Deer, a quirky British stationery brand. Love the design of the box again this month. Afterspa Amazing Makeup Remover– Full Size RRP £5.50 – again another brand I had not heard of before. 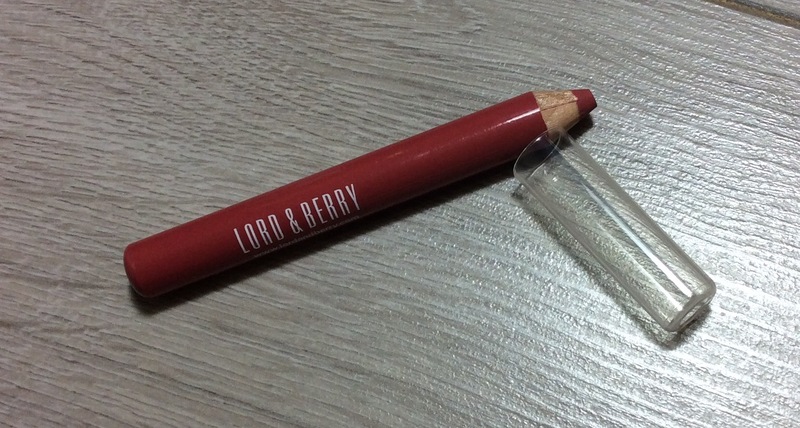 This is a soft cloth that when washed in the washing machine first, prior to using states ‘will break down impurities and remove all types of makeup with water alone and lasts up to 1,000 washes’. Although I found it does remove makeup ok after you have removed your eye make first with a micellar water/cotton pads, which I always do anyway with any cleanser, I still find it hard to get used to as although my skin looks clean unless I use my own cleanser as well I do not feel my skin is clean enough. Therefore although I would still use this I would only use as a double cleanse routine, this first and then fully cleanse my skin with my L’Occitane Shea Cleansing Oil. I am happy with this month’s box as a good variety of products and I am delighted to have discovered at least one new product that I would go on and purchase the Charlotte Mensah Hair Oil. 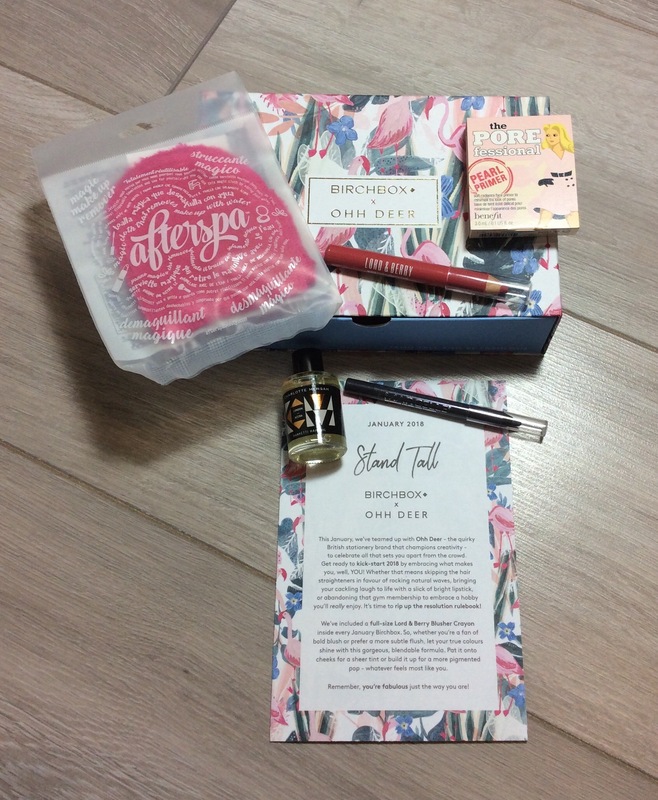 As well as being a treat each month that is one of the main reasons I love receiving beauty boxes, is discovering new products, brands. I am not that excited with the sneak peek item above for next month’s box but hoping there is a good mix of other products as well. 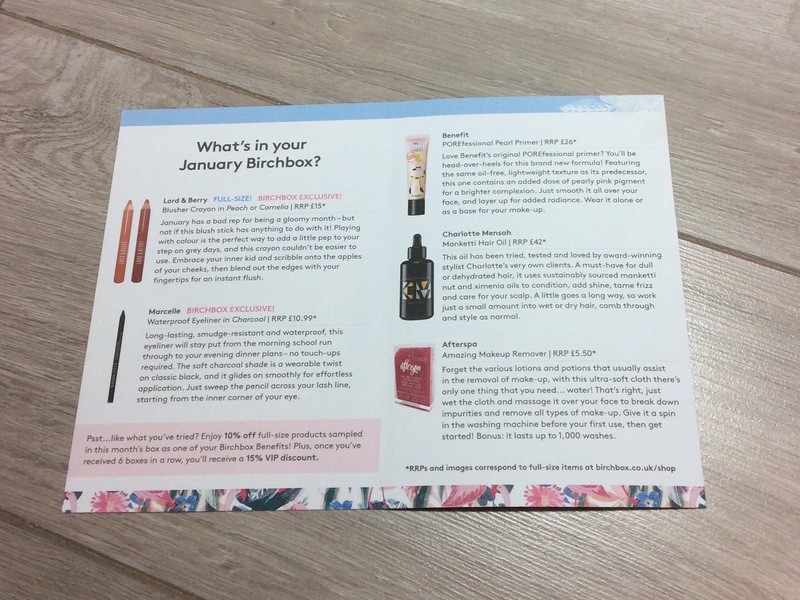 I definitely would recommend checking out Birchbox if you haven’t already as currently until 31st January 2018 or while stocks last you can get two boxes for £10, the January box and another surprise box (probably selection of items from 2017 boxes) when you enter code HAPPY at checkout – link here – only for new subscribers on rebillable subscriptions. 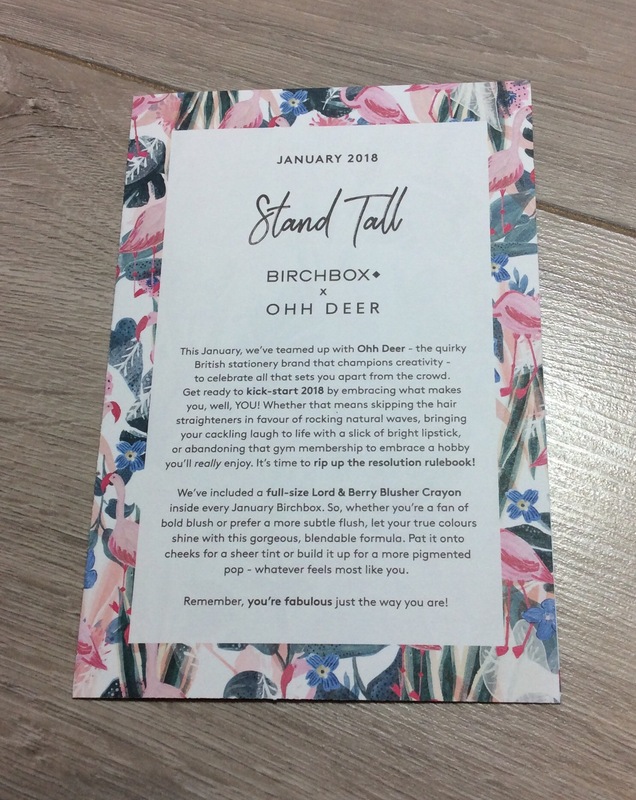 I do not think you can use this offer with the offer above but if above offer is over when you see this post and you are still thinking of subscribing to Birchbox UK – you can get £5 off your first box -(box is normally £10 +£2.95 shipping – you will get for £5 +£2.95 shipping) by clicking link here and then copy and paste code at checkout to get your discount. Thank you in advance if you use this link. 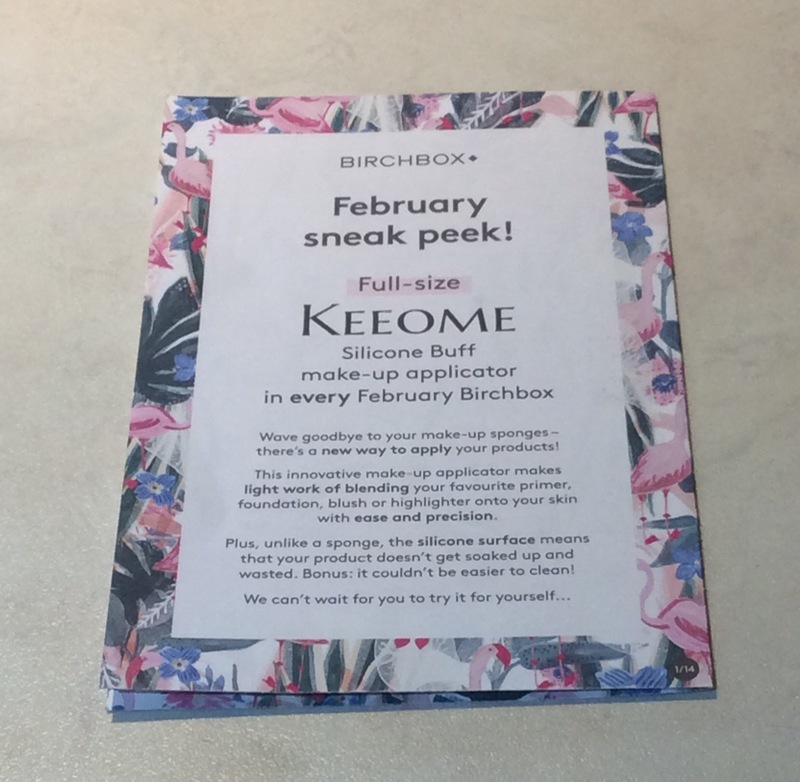 Look forward to any comments you may have – if you have received this month’s box would love to know what you thought. I will have more posts up later today or tomorrow. Thank you – enjoy the rest of the weekend.